Maldives is Sri Lanka's nearest neighbour, with the exception of South India. The two countries have many historical and cultural links, and Divehi, the language of the Maldivian people, is the nearest relative of Sinhala. But unlike Sinhala and the major South Indian languages which have very long histories of Bible translation, it is generally assumed that Divehi has no such history. The purpose of this paper is to reconstruct the circumstances surrounding a little known early translation which was partially completed but finally abandoned, and to explore the possibility of its survival to the present day. In 1803 the Scottish poet and linguist John Leyden (1775-1811) reached India, and immediately set about studying and analysing the languages of the Subcontinent and the Far East, whilst holding various senior government posts. The extent of his ability can be judged by the fact that, although he died at only 36, his biographer estimates that he was competent in no less than forty- five languages. "On my Voyage from Travancore to Pooloo Penang ..., as there happened to be several intelligent natives of the Maldives on board, I took every opportunity of making enquiry concerning these islands that a very tempestuous passage, a very bad state of health and very imperfect means of communication permitted." Amongst the notes he compiled was a classified vocabulary of some 350 words in English and Divehi. The presence of dialect words and the style of the script employed suggest that these first Maldivians Leyden met may have been from Minicoy (in Divehi, Maliku), an island to the north of Maldives and under Indian administration although populated by Maldivians. 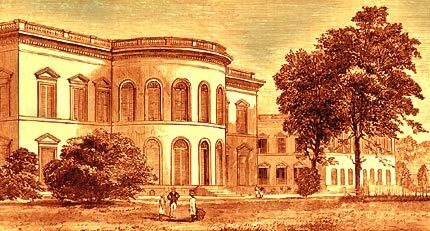 From circa 1806 onwards, Leyden held a post as Professor of Hindustani at Fort William College, Calcutta. Here he employed a number of language informants, apparently including one or more Maldivians, who would have come to Bengal on trading expeditions. Here also he would have moved closely with the pioneer missionary William Carey, who although based at Serampore, some 20 miles to the north, was also Professor of Bengali and Sanskrit at Fort William College; and with the Rev. David Brown, the provost of the College, who was also the Senior Chaplain of the Presidency of Bengal, Secretary of the Calcutta Corresponding Committee of the British and Foreign Bible Society, and later of the Calcutta Auxiliary Bible Society. With such connections, it was probably inevitable that Leyden, although his motives had been primarily academic, should have been drawn into the work of Scripture translation. In March 1810, Leyden wrote to Rev. 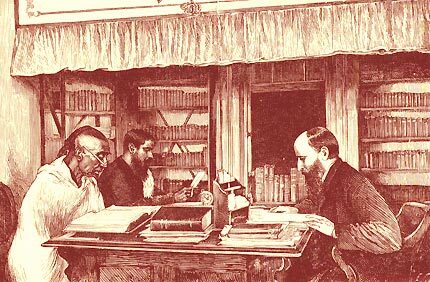 David Brown, offering to have translations made of the four Gospels into seven languages including Divehi (Maldivian) The others were Thai, Pashto (Afghanistan), Arakanese (Burma), Makassar and Bugis (Indonesia), and Jagatai (Central Asia) Leyden's informants, who were mother-tongue speakers of these languages, would do the translation, and he himself would be responsible for co-ordinating the work, correcting, and collating the translation with the Greek originals. "I beg you will do me the favor to submit to the Committee the accompanying Papers, which I forward by way of reporting progress in the Translation of the Gospels, which I undertook to superintend. They consist of the Gospel of Matthew, from the beginning to the end of the 18th Chapter, in the Maldivian language... the Maldivian has been corrected and collated with the Greek, up to the two last chapters; but the sickness of my writer prevented me from having a fair copy made out, of any more than the first 18 chapters. Having very few specimens of style in Maldivian, I cannot speak so confidently of this translation, but as I daily expect a supply of MSS. It will be improved while the rest are in progress." The Divehi translation continued to advance ahead of the other languages Leyden had promised; before leaving Calcutta in March 1811 as an interpreter attached to an expeditionary force to Java, Leyden delivered to David Brown the manuscripts of 9 Gospels in various languages, including Matthew, Mark, Luke and the second part of John in Maldivian. "The Corresponding Committee... do not consider the expense incurred by their engagements with Dr. Leyden, to be wholly lost. In their varied and extensive plans, they cannot reasonably expect an uninterrupted course of success. Moving in paths untried before, they are prepared for disappointments. They are not surprised, if they meet with unforeseen delays in the execution of the most approved plan; if important objects are defeated, even in the outset; and if sums are occasionally expended in undertakings which may turn out to be of distant than of immediate utility. And they deem it a point of no small consequence to lay a foundation on which future generations may build." "Of the Gospels... translated by Dr. Leyden... none have been printed; but the death of Dr. Leyden in Java... must now delay the publication of them, as they cannot be committed to the press without the revision of a European scholar." "The late Dr. Leyden had made some progress in ascertaining the nature of this [Maldivian] language; and after his death, the learned native he employed coming to us, we thought such an opportunity of giving the Word of Life in the language of these numerous isles ought not to be lost, as it might not occur again for many years: we therefore retained him. He is well acquainted with Hindoost'hanee, which renders the communication with him easy. In this [Maldivian] language the Gospels are finished; and we have nearly completed a font of types in this alphabet..."
This font of types, the first, and to this day the only, set ever prepared for letterpress printing of the unique Thaana script used for Divehi, was duly completed, and the Gospels were on the point of printing; in fact a Report giving the progress in translation work up to June 1814 goes as far as to state, "Maldivian. The Gospels are translated, Matthew in the press." "The types for printing in this Language were prepared several years ago, but owing to the native of the islands having left us to go to his own country and our not having since been able to procure another, the printing could not be begun." Presumably, in their concern for textual accuracy, especially bearing in mind that the translation was intended for a Muslim people with their high view of Scripture, the missionaries felt unable to proceed with printing without any proof-reader. "So averse are the island authorities to anything like emigration, that a laudable attempt to translate the New Testament, by means of a Hindustani Munshi, failed at Bengal, the man who was engaged having been recalled by the Sultan of Mali, before the Gospel of Matthew was gone through. I have seen and conversed with the Maldivian above referred to (he is now venerably gray), and he spoke of his engagement under the Rev. Mr. Brown, with readiness and evident self-gratulation. This translation (so far as it goes) is, I believe, in the hands of the Serampore Missionaries." 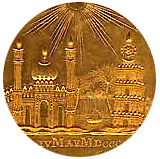 Apparently the then-reigning Sultan Muhammad Mu'inuddeen I (1799-1835), described by the historian of Maldives H.C.P. Bell as "narrow-minded and suspicious of European contact", had sent some message warning his subject to return home immediately, and the translator obeyed through fear of the consequences if he did otherwise. By the time of Christopher's visit in 1835 this Sultan had just died, and the Maldivian felt free to speak of what had happened. Not surprisingly, however, the frustrated missionaries at Serampore had been unable to find another Maldivian willing or able to take his place; and hence the project which had progressed so far was simply abandoned. In the late 18th until the early 20th centuries there was a prominent clan of learned navigators, mathematicians and astronomers in Malé whose ancestors came from the island of Himithi. The most well-known of them was Himithi Ismail Kaleygefanuge Tuttu who died in the early 1960s. The Himithi clan and their associates ran a successful navigation school in Malé in the 19th century. My paternal grandmother was a graduate of that school, unusual for a young Maldive woman of that period. It is most likely the Bible translator was a member of the Himithi clan of navigators. We have a clue to the probable identity of the Maldivian informant and translator, through a book formerly belonging to Leyden's personal collection, and now kept in the Library of the India Office, London. This is a volume printed in Calcutta in 1808 by the Hindoostanee Press, which worked in close co-operation with the College of Fort William. The book is entitled A Vocabulary, Persian and Hindoostanee, to which the words "and Maldivian" have been added in pencil. To the original Persian and Hindustani words, an individual identified as one Hasan bin Adam, of Himithi Island in North Nilandhe (now Faafu) Atoll, has added Divehi equivalents. We already know that the Maldivian informant working with Leyden and Brown and then at Serampore used Hindustani as a means of communication; furthermore the date of this volume (1808) accords well with Leyden's claim that the persons assisting him in his literary researches had been "practised in the work of translation" and were "engaged in preparing Vocabularies and Grammars", prior to his letter to Brown offering the Gospel translations in March 1810. It seems more than likely therefore that Hasan bin Adam was Leyden's Divehi-speaking assistant in Calcutta, and hence the one mainly responsible for the Divehi translation of the Gospels. Mr Stevens of the R.A.S. (C.S.) has communicated with me about a Maldivian MS. of the Gospels supposed to be on our shelves, and which you wished to obtain a sight of. I am sorry that I can find no trace of it, and doubt whether it is here, as it is not down in the Catalogue of Scriptures. If, however, we have it, and I should come across it, I will communicate with you again. B) Mr H.C.P. 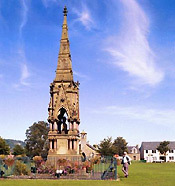 Bell to Rev E.S. Summer. I have to thank you for your Post Card of the 8th ultimo, which took some time reaching me. Mr. Stevens on his way through Ceylon, after his visit to India, informed that he had been himself to Serampore, and handed over my letter - though I am not sure whether to yourself or to an assistant. I have been anxious to learn whether my quest was likely to be successful. Your Post Card, though not encouraging, leaves me still some hope that the long- buried Maldive MS. may yet come to light in the archives. As perhaps you are aware, I have for some years tried to make a special study of the Maldive Islands, our sole dependancy; and have, to some extent, mastered their peculiar script and language with the help of my Maldive friends. There is no Maldivian literature beyond lithographed MS. books, half Arabic, on their religion; songs and the stray letters on business matters, which reach Agents in Ceylon. The discovery of this Maldive MS. of St. Mathew's Gospel would be of very great interest, and I trust you will kindly aid me to obtain a sight of it, by having renewed search made on your bookshelves etc. Once obtained I would endeavour to transliterate it myself, and make such further use of it, as you might advise. "So averse are the island authorities to anything like emigration, that a laudable attempt to translate the New Testament, by means of a Hindustani Munshi, failed at Bengal, the man who was engaged having been recalled by the Sultan of Male, before the Gospel of Matthew was gone through. I have seen and conversed with the Maldivian above referred to (he is now venerably gray), and he spoke of his engagement under the Rev. Mr. Brown, with readiness and evident self-gratulation. This translation (so far as it goes) is, I believe, in the hands of the Serampore Missionaries." Your letter of March 1, though under difficulty as regards time (for I am leaving for England tomorrow) I write a few lines to say that I think there is no hope of recovering the desiderated MS.
After reading your reason for supposing that it was at Serampore College I am satisfied that it is not. Dr. Brown was not a Serampore College Missionary at all; though I think there was a Church of England Chaplain of that name somewhere about that time. The centre of our Mission and of our translation work has long since been removed from Serampore, and this work (if it ever was at Serampore) has either ceased to exist, or has been removed somewhere else; and I can offer no suggestion as to whether, or where, it can now be found. I am very sorry that I cannot help you in the matter, and must end with expressing the hope that a translation of the Scriptures, or some portion of them, in the Maldivian language may ere long be made. Linguists can have no nobler occupation. What is extraordinary about this correspondence is that the authorities at Serampore in 1887 should virtually disclaim all knowledge of the existence of the translation, and even of the identity of the 'Rev. Mr. Brown', who is clearly identifiable as the Rev. David Brown, the founder of the Calcutta Auxiliary Bible Society. More than a century later, we can today only speculate whether if a more thorough investigation had been made at that stage, some vital clue might not have come to light as to the whereabouts of the lost Gospels. Another area of interest, although perhaps not directly relevant to the history of this particular manuscript, concerns the circumstances leading to Bell's 1887 correspondence being published in 1925. A certain Mrs K. Wood Kumarakulasinghe of Nuwara Eliya, together with her husband, who was "in government service", had been for some time concerned to share the Gospel with the Maldivians. Mr. Kumarakulasinghe had attempted a fresh translation of the Scriptures into Divehi. Exactly how far this progressed or what was the fate of his manuscripts I do not yet know, but once again, as with Leyden, the work was cut short by his death. Mrs Kumarakulasinghe had attempted to continue the work, but again unsuccessfully. Finally she had expressed her concern to Sir Anton Bertram, the Vice-President of the Ceylon Auxiliary Bible Society. Addressing a meeting of the Society at Kandy on January 2 1925, Bertram referred to Mrs Kumarakulasinghe's correspondence, and it was reading the published text of this speech in the Times of Ceylon of January 5 1925 that prompted H.C.P. Bell to submit his correspondence with Serampore College for publication, simply to demonstrate that a previous attempt to translate the Scriptures for the Maldivians had been made. What, then, was the fate of the 1811 Divehi Gospels? Very detailed accounts were issued by the Serampore missionaries of everything that had been lost in the fire - which did include several fonts and manuscripts - but the Maldivian materials are not mentioned. The references made by the Serampore missionaries to the Maldivian manuscripts all date from after this event. The Brief Narrative of the Baptist Mission in India (Fourth edition, 1813), in a list of translations engaged in as of June 1812, the month of David Brown's death and three months after the fire, makes no reference to Divehi. However a letter of William Carey dated November 1812 is referred to which speaks of "no less than eighteen translations, some of which have fallen into their hands by the death of other translators." This presumably includes the Divehi gospels. The earliest explicit Serampore reference I have found is in the Preface to Volume V of the Periodical Accounts relative to the Baptist Missionary Society, which summarized the state of progress at the close of 1812. In the field of translation, 'Maldivian' has appeared on the end of the list (no. 18) of languages being worked on, with the comment, "commencing". This would clearly be impossible if the work had been destroyed in March 1812, at which date the manuscripts were almost certainly in the hands of Rev. David Brown at the Bible Society. Another possible scenario, suggested to me by a Maldivian resident, is that the controversial manuscripts were removed from Serampore to Malé on the orders of the Maldivian government as a condition for the translator's pardon, and there scrutinized and subsequently destroyed. However this would seem to be ruled out by the apparent implication of the last Serampore references to the effect that the missionaries still had the translation though not the translator. Since there is thus no conclusive evidence of the end which befell the manuscripts, in principle we may not totally rule out the possibility that they may yet be preserved somewhere in Calcutta or Serampore. However having searched in all the likely institutions in Calcutta and Serampore and found no trace of the manuscripts, I regretfully concluded that the ravages of climate and environment make it most unlikely that these unique documents could have survived to the present day.